Welcome to Old Brewery Antiques. You are now under the antique clocks page. It may be kind of absurd if you do not have at least one wall clock or simply a clock on your own house. Since we can be 99.99% sure that all of us may own at least one clock or watch, but to tell if it’s antique or not…well, that’s a different story. Of course we may all have heard or have seen (even in pictures or for real) a grandfather clock and the famous cuckoo clock. These two are among those who are to be considered as the oldest designs of clocks, which are considered to be antiques. Although there are a lot more models of antique clocks all over the world, all of these, including the grandfather and the cuckoo clocks seemed to be real antiques, but do not be confused since some of them are mainly replicas only. But let us not deny the fact that these manufacturers surely did a great job for that. Plus, if you want to have these antique clocks on your home but you are tight in budget, having a replica or a reproduction will surely do the trick for you. Old Brewery Antiques gives you all the resources to fit for your needs and budgets. 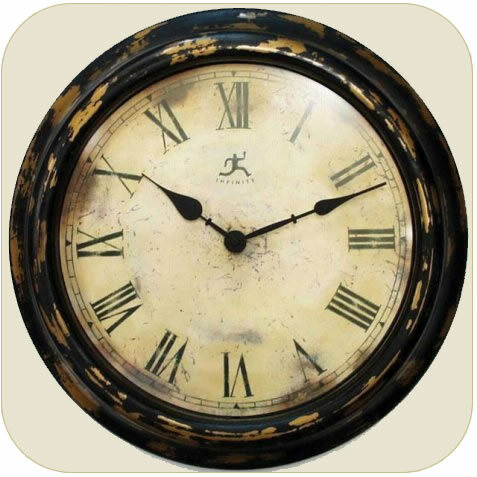 We offer here real vintage clocks which have existed since the 1800’s and up to the 1940’s, while the rest were still undefined. Aside from the originals, we also offer here some modern and vintage reproductions, whichever you might think will best suit for your needs. Just take a look around, and spend some time at browsing on each of our items, and we certainly hope that you’ll find what you need here.